This is such common question! Not just with wedding season, but with our entire wardrobe. How do we maximize what we own and wear an item multiple ways? For a dress - especially when it comes to re-wearing the same dress for separate special occasions - it's all about the accessories. Changing the shoes, adding a jacket, belting the waist, switching up the jewelry. All of these can give you distinct looks with the same base layer. In the examples above, I've shown how different a little black dress (which most of us have in our closet) can look simply by switching up the accessories. And below, I've taken the same LBD and created four distinct looks depending on the formality of the wedding. The same guidelines apply to any of your favorite dresses in your closet. This way, no matter how much the paparazzi follow you, you will always have a new and fresh look. When dressing for a special event, I tend to put some thought into my outfit. I like to stand out and wear something unique, but I also make sure the outfit represents my personal style. There's nothing worse than showing up at an event and not feeling like your bold and confident self. 1. Will I be comfortable? If I am tugging at a dress or worried about it being too tight or too short, I will spend the entire evening self conscious and paying more attention to my outfit than to the event itself. Definitely not how I want to spend my time. I am a huge believer in looking good and feeling good in your clothes. 2. Is there a unique element to my outfit? 3. Does this represent my own personal style? As much as I love to play with styles, I know what feels like "me" and I make sure to stick to that. Personally, I avoid short and tight. I am attracted to neutrals over patterns. My preference is a nod to menswear instead of overly feminine. This doesn't mean I'll never stray from these guidelines (experimenting with other styles is part of the fun of fashion), but knowing my own personal style helps me to know what looks I'll confidently rock, especially when getting dressed in a hurry. This dress from Rent the Runway, hits all three points. The scuba-like material is incredibly comfortable and is form fitting without being too tight. The side cut-out detail transforms this dress into something a little sexier than a standard pencil dress, creating a perfect date night look. 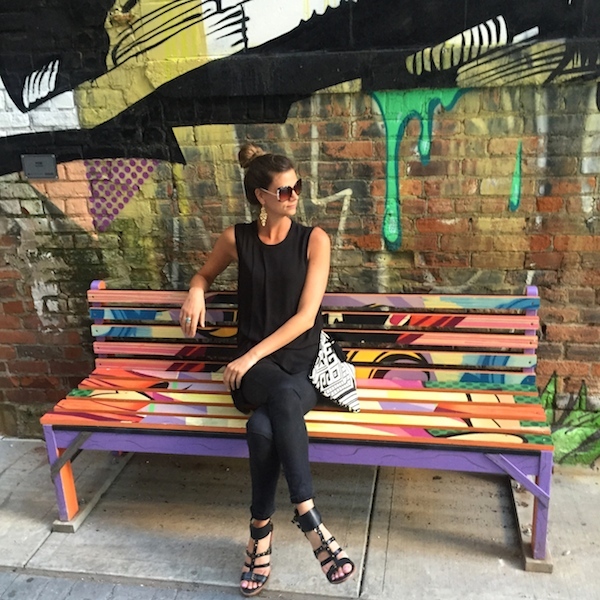 And the modern silhouette is on trend, but still classic - representing my own personal style. What do you look for when choosing a dress for an event? Do you follow any guidelines to make the decision easier? 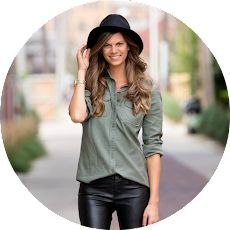 If you need help figuring out your own personal style, I can help. Like most people, summer is typically when I pull out all my bright clothing, bold prints, and monochromatic white outfits. But sometimes? Sometimes I just want to wear black. 1. Black doesn't mean boring. 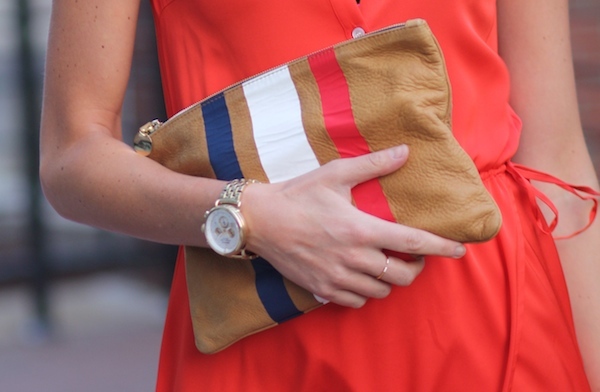 Keep the outfit exciting with some sort of visual interest. Think cutout sandals or an asymmetrical hemline. 2. Look for light and breathable fabrics. Save your leather and wool pieces for the cooler months and opt for items in silks and linens instead. 3. Play with proportions. Keep things cool and playful by experimenting with cut outs and crop tops. 4. Lighten up the shoes. Think strappy, not bulky. Go for open toed over closed. 5. Add interest with accessories. Go for a bold metallic cuff or oversized turquoise necklace. Accessories are where you can really make an all black outfit stand out. 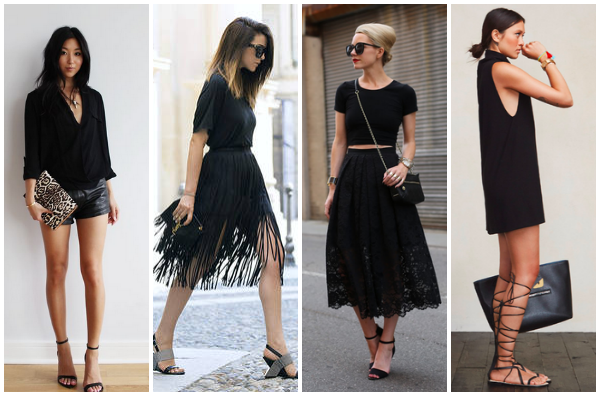 Are you a fan of all black during the summer or do you stick to lighter shades? To me, the Nordstrom Anniversary Sale marks the beginning of the fall fashion season. I know, I know. It's only July and summer has barely begun. But in the fashion world, we are already thinking about next year's collection and the stores are preparing for next season's trends. This is the perfect opportunity to sort through your closet and reassess what fits and what needs to be replaced. 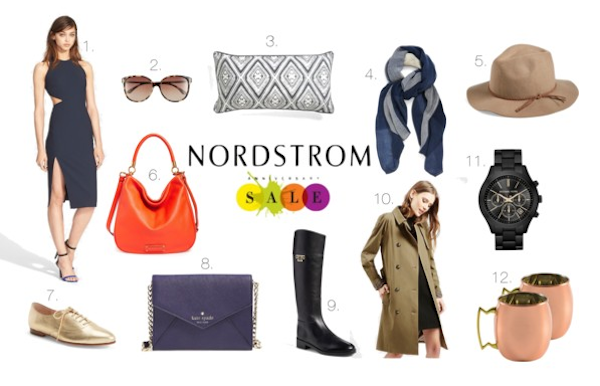 And the Nordstrom Anniversary Sale is the perfect time to pick up a few items on your list. Above are a few of the pieces I have my eye on for this fall season: a modern cocktail dress, some updated bags and shoes, and a new trench coat. What are you shopping for this season? Will you be taking advantage of the Nordstrom Anniversary Sale? If I could give you one tip for shopping (and negotiating) at flea markets it's this: be breezy. Stay cool, don't show excitement, be breezy. I picked up this maxi dress on my last trip to New York City at the Hell's Kitchen Flea Market and immediately fell in love. There's nothing easier for summer than a maxi dress. It's uncomplicated and comfortable. It makes a statement with almost no effort whatsoever. It's very essence is breezy. However, when I saw this dress from across the market, I lost all my cool and collected composure. I didn't slowly stroll over to check it out. I didn't pretend to half browse the racks while being distracted by my phone. I didn't ask how much and walk away. No, I sprinted - roadrunner style - to the dress, threw it on over my clothes, and loudly announced I had to have it. The vendor took one look at me and had the upper hand. She knew it. I knew it. Everyone knew it. But I figure when you find a dress that is so cool and laid back and breezy, you don't have to be. And besides, 40 dollars is a small price to pay for unbreezy behavior and a dress you love.